Engineers still have some old gems in their crafting book, some of these are even more profitable today than they were years ago. One of these is a flying mount, the epic quality Turbo-Charged Flying Machine. There's always profit involved, no matter what realm you are playing on. If no one else is selling these, expect to get at least 1000 gold profit per mount. There's lots of profit to be made creating engineering mounts! This mount does not require time at all to create. You only need 4 different item types, and one of these can be purchased from a vendor directly. However, these items are valuable and you often have to create them yourself, as they are rare TBC trade goods, so usually no one is selling them for a reasonable price. Thankfully, they are easy to craft! To create a Turbo-Charged Flying Machine, you need 375 skill in Engineering. The recipe itself is learned from any engineering trainer, if you are at least level 70. If you're not sure how to create each of the items, just click on it. Only item that can be hard to obtain is Felsteel Bars for Felsteel Stabilizers. Only a miner can create these by smelting TBC items. In many cases, there's none for sale in the auction house. It's good to have mining on an alt for cases like this. It costs usually about 900 gold for me to create one, almost free if I farm the mats myself. I sell each of these mounts for 2000-4000 gold and rarely have competition. You can also make extra gold by creating more of the above reagents and listing them in the auction house for outrageous prices. People will buy them if they want to create their own flying machine instead of buying yours. The competition continues! Guess what's inside the treasure chest below on this page, and either contact me via email or leave a comment below. If you guessed last time, you can now guess again! Rules: Only 1 guess per person. No anonymous comments. Don't skip step 1, as should you win, I will verify the date of the share. If no one guesses right, this competition will continue in the next gold making post. If there is no right answer then either, the competition ends. You can participate again in the new posts even if you have guessed in this post for example. 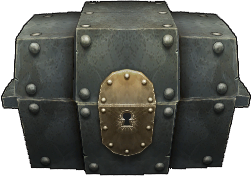 This chest will open soon, be quick! There will be prizes for everyone that gives the correct answer and follows the rules. The value of the prize depends on how many gets the answer right. These prizes are all related to WoW somehow. Perhaps 2 years worth of gaming time, a stack of coal or 500k gold on the realm of your choice? Give it your best shot and if you're lucky, find out what the prize is! Love is a warm rocket. I think it's a feldrake.